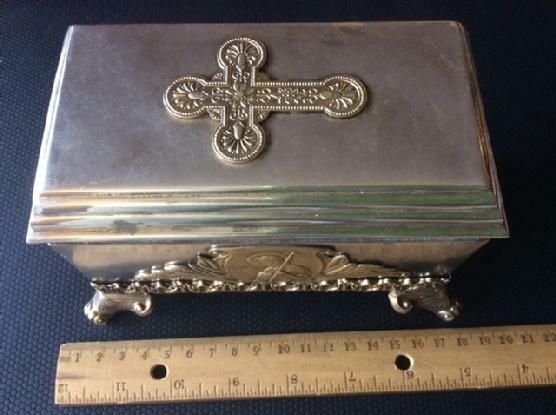 Russian - Ukranian an antique silver 84 box. It was presented years ago, as a gift to Cardinal and Mitropolit Michail Levitsky. The straight sided rectangular box unusual design is striking, especially given the time of manufacture, and the perfect rendering. The most noteworthy element of this unique design, cross on the top, and appplication of St Ioann on the side, with the inscription plaque, at the bottom box in Ukranian: "Mitropolity Michailo Levitsky 1849". Please contact us for more info & price !